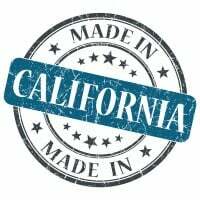 California Commercial Insurance Quotes. Considering the time, energy, resources and care you have put into your business, commercial insurance is important to protect it. Every business, small or large, has unique coverage requirements and the many different business insurance products on the market can be confusing. So to help you decide, here is information that will help you compare California commercial insurance quotes and find one that addresses your needs. California commercial insurance quotes can help find the best business coverage with rates as low as $27/mo. Get a fast quote and your certificate of insurance now. Insurance rates are determined by two main factors, these are the business' industry risk and claims history. Since your business' industry is a fixed factor, you may not have the ability to avoid some of the risks associated. However, your claims history is controllable to a certain point. When you fail to follow the practices below, the California commercial insurance quotes you receive will feature higher figures instead of lower. Compare: Like any other substantial business purchase, shop around and compare California commercial insurance quotes before you settle on a provider. Determine the coverage you require and ask insurance companies for quotes. The best way to make an informed decision when comparing California commercial insurance quotes is to understand your business needs; then find out a bit about the types of coverage you think are helpful in your industry before you talk to an insurance provider. Next, be ready for an open and forthcoming dialogue about your coverage. Request a free California Commercial Insurance Quotes in Alameda, Alhambra, Anaheim, Antioch, Apple Valley, Bakersfield, Baldwin Park, Bellflower, Berkeley, Buena Park, Burbank, Camarillo, Carlsbad, Carson, Chico, Chino Hills, Chino, Chula Vista, Citrus Heights, Clovis, Compton, Concord, Corona, Costa Mesa, Daly City, Davis, Downey, El Cajon, El Monte, Elk Grove, Escondido, Fairfield, Folsom, Fontana, Fremont, Fresno, Fullerton, Garden Grove, Glendale, Hawthorne, Hayward, Hemet, Hesperia, Huntington Beach, Indio, Inglewood, Irvine, Lake Forest, Lakewood, Lancaster, Livermore, Long Beach, Los Angeles, Lynwood, Manteca, Menifee, Merced, Milpitas, Mission Viejo, Modesto, Moreno Valley, Mountain View, Murrieta, Napa, Newport Beach, Norwalk, Oakland, Oceanside, Ontario, Orange, Oxnard, Palmdale, Palo Alto, Pasadena, Perris, Pleasanton, Pomona, Rancho Cordova, Rancho Cucamonga, Redding, Redlands, Redondo Beach, Redwood City, Rialto, Richmond, Riverside, Roseville, Sacramento, Salinas, San Bernardino, San Buenaventura, San Diego, San Francisco, San Jose, San Leandro, San Marcos, San Mateo, San Ramon, Santa Ana, Santa Barbara, Santa Clara, Santa Clarita, Santa Maria, Santa Monica, Santa Rosa, Simi Valley, South Gate, Stockton, Sunnyvale, Temecula, Thousand Oaks, Torrance, Tracy, Turlock, Tustin, Union City, Upland, Vacaville, Vallejo, Victorville, Visalia, Vista, Walnut Creek, West Covina, Westminster, Whittier, Yorba Linda, Yuba City and all other cities in CA - The Golden State.